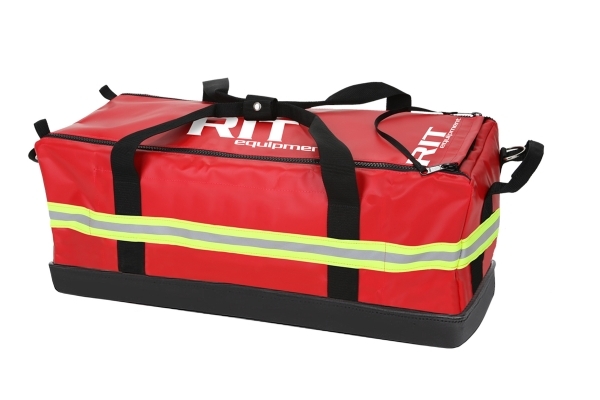 A versatile RIT bag that can be set up for tools only or as a carrier for supplemental air supplies for RIT operations. Two inside pockets are designed to keep the outside of the bag smooth preventing the bag from catching on obstacles. 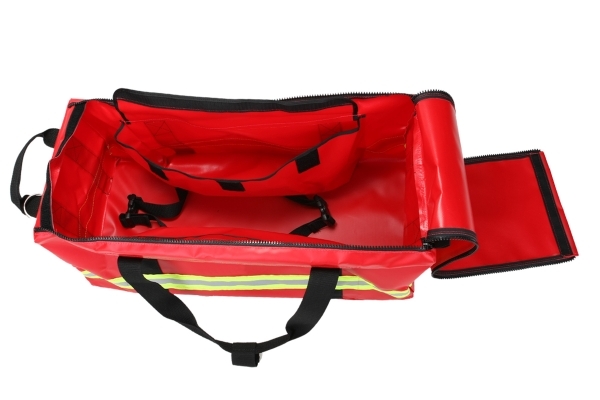 This bag also features a quick open top, rigid bottom and two straps for securing tools or an air cylindar. Constructed of heavy 22 oz. vinyl with 3M Scothlite Reflective Material and is virtually indestructible. Measures: 12"H x 13"W x 29"L with 4,500 cu. inches of space. Color: Red. Wt. 130oz. Made in the USA. For over 40 years we have established industry standards. Our innovative designs and high quality workmanship have made us the leaders in the industry. We provide well-designed, high quality and practical products. The majority of the products you see on this website are made in our shop. We use absolutely the strongest, highest quality materials available.